With the recent plethora of good superhero movies, I was excited to see the new Superman. The hype surrounding was intense and I secretly hoped for another awesome Superhero franchise. Unfortunately, the action filled tale left me empty and in need some comic relief. My largest complaint about movie was its lack of character development. We never get to saw Clark develop into superman (Henry Cavill) because he is portrayed as superman from the beginning. As a child he seems no different than his adult self. I expected to see some identity struggles or vulnerability, but none were presented. He was stoic, with few human traits from the start. 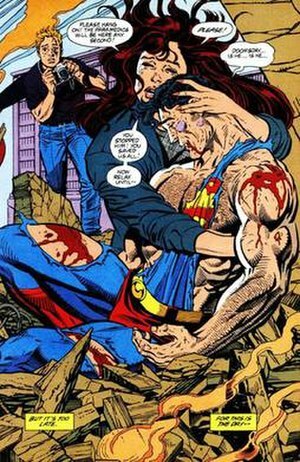 Whether this Bella Swan take on emotion was requested by the director (Zack Snyder) I don’t know, but at least he looked like superman right?. Evidently, Superman has two faces: a mixture of confident/confused and constipated. The more interesting character of the film was Louis Lane (Amy Adams). Charming and curious, she was a fantastic character. Definitely Superman’s better half, she helped save humankind while still being apart of the human race. Unfortunately, she too was poorly developed. I longed to know more about the woman who romantically attached herself to a man from another planet. The villains and the action were on par with what I expected. The fight scenes were large, filled with many poor cars being destroyed. The action sequences dominated the second half of the film and did a great job of distracting me from the empty first half. The Villains seemed to have more emotional depth than superman. I secretly felt sorry for them and hoped everyone could have a happy ending. The movie was lacking in many departments. Another issue was its lack of humor. The movie was entirely serious and I love humor (or at least some interesting banter). The absence of humor requires more details and character development to keep viewers interested. Why should I care about these people if I know so little about them? How does a viewer connect to a character that does not seem to care about his own problems? I have many friends who loved the new film. They and I have debated its pros and cons happily since its release. This opinion is simply mine and I am by no means an expert. I typically attach myself to the characters, and in this movie I felt unable to do so. I don’t know if I will see the movie again. Despite my issues, I hope they can make a second movie. Should they do this, I hope they pay more attention to the characters. It is after all their story. Didn’t like the movie huh? Just wait The Long Ranger is coming out soon. Your many followers will wait with the chilly-willies for your next review.